Rubenerd: A refreshed Windows disgust rant! A refreshed Windows disgust rant! Your asking me for drivers for "Unknown?" Yeah, thanks! Given I've spent the better part of the last few months defending how I was able to tolerate Windows in the past, you could be forgiven for thinking I was growing soft for the OS again. I admit I was feeling slightly nostalgic too. I remember Solitaire, I remember Reversi then Minesweeper, I remember pointless utilities such as WINVER.EXE and how Microsoft Word was called WINWORD.EXE to differentiate it from Word for DOS. Well over the last few days I've been working to reinstall Windows XP Tablet Edition on my dad's Fujitsu Lifebook after it contracted a series of persistent spyware infections. Let's just say it completely refreshed my disgust for the platform! Windows is an unabashed disaster. It really does have an inexcusably horrible and counter intuitive interface. While I put up with it back in the early years, it took me moving to FreeBSD and the Mac to really realise it. I mean, it is BAD. First of all, Windows is so maddingly (is that a word?) verbose. I don't care that you can see a wireless network, I'll tell you when I want you to connect to one! I don't care that you've 74% downloaded an update, just tell me when it's done! Don't tell me I don't have antivirus software installed after I just installed Windows fresh and therefore wouldn't have even had an opportunity to do so! I don't care what the serial number for my battery is, just tell me the percentage of power remaining! Don't patronise me by instructing me to click the Finish button when I'm done a pointless three screen wizard that could have been condensed into a succinct one window screen. 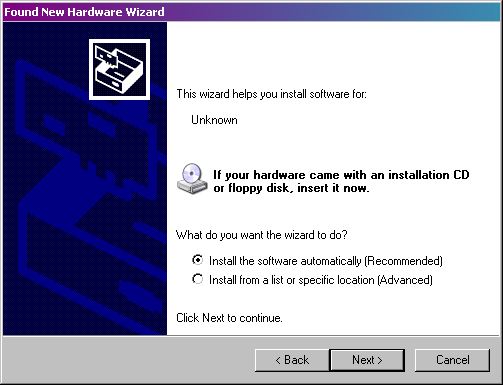 I know you've found nine new hardware devices given I just installed Windows, so don't automatically shove nine consecutive Add New Hardware Wizard windows that when I close one another appears! Don't perform a Windows Update, then tell me to restart, then perform another Windows Update, then tell me to restart, then perform another Windows Update! There is an anti-virus installed, it's called ClamWin you jackarse! It's free and open source, why would you refuse to… oh wait. Then there are the downright, head-banging-on-a-table stupid ideas. Product Activation? Someone really thought that would make a difference while proposing it in a board room somewhere… and the others agreed with them?! They really thought repeatedly asking questions for the most mundane of tasks would somehow improve security? They really thought that unzipping a ZIP file needed a wizard? They really thought Areo Glass in Vista with all it's ugly translucency and the ugly blue and green XP interface were great? I think if someone can survive the first 20 minutes of a fresh Windows install, they're prepared for anything. What a nerve wrecking experience. And to think less than 10 years ago I used to think this was normal! Unfortunately my fabulous father doesn't have a choice and has to use Windows for his work. He's been having fun with my 800MHz iBook G3 with Mac OS X Tiger though, he said it's so simple and easy to understand… and there are no irritating stupid popup windows or balloons! He's said the same thing with my Armada M300 FreeBSD laptop with the beautifully crafted, lightweight and simple Xfce Desktop which you can take a tour of here. ASIDE: Fortunately once you’ve pulled the reins and brought the Windows Beast under control it is possible to make it a more palatable machine to use. The trick is to launch Internet Explorer to download Firefox, Opera or another browser of your choice, then going to Add/Remove Programs and removing everything. From there you can download from Firefox or Opera everything you need. I think Windows users tend to label other things as difficult because it's just unlike how Windows does things, not necessarily because of any difference in technicality. The next person who tells me that Windows applications and hardware are easier to install than on Mac OS X or even FreeBSD will get a roaring, hearty laugh! Whew, I needed that :). Now if you'd excuse me, I need to restart that blasted laptop. The network driver installation wizard has been sitting on the same screen at with the same 98% complete indicator for the last 45 minutes. It needs a fist through it, that'd make it work. Unbelievable. Okay it just finished. What, Hardware Add Failed? You can't find the driver you say? I just gave you the exact location where the darned drivers are you stupid, stupid, stupid operating system! Look again! Why can't you just add a single line to your /boot/loader.conf or /etc/rc.conf file? Because it would be too hard? Yeah, that's right… a darn wizard that fails more than it works is much more user friendly!!! That does it, it's 2am now and I'm walking down to the 24 hour prata shop for a bite to eat and for some teh tarik. That'll cool my nerves.